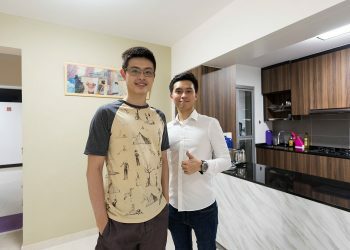 My Reno Diary Interior Design is a professional and creative interior design firm in Singapore, which is reputed for its excellence in interior dressing and build. 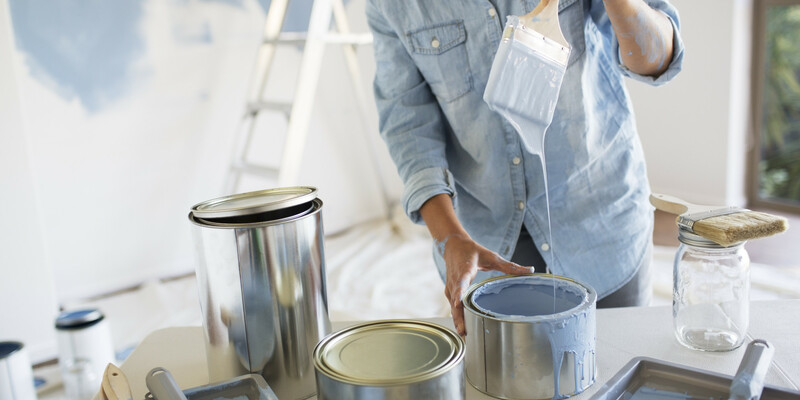 Being more than just an interior house, we are your home stylist. We innovate through the role of space, materials, colour, texture, light, shade, furniture and even soft furnishing. We are here to ensure you with quality, reliability and professional ‘before and after’ service. 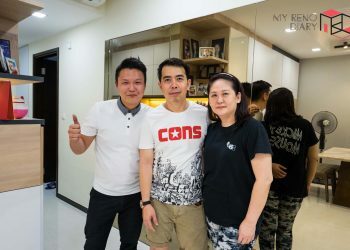 We wish to express our sincere appreciation for the excellent services of Sheng Li who managed the renovation project of our apartment. Sheng Li was involved in the project from the initial planning stage till completion of the project and we are very happy with quality of work. He helped us plan the design and layout of the entire apartment and had many innovative ideas. We only had to give him some of our high-level requirements and he would come out with a few options for each of our requirement, all of which were creative and useful. Over a few meetings we decided all the details. Soon after the actual work started we discovered that we needed to do a bit more than what we originally planned. Sheng Li organised everything very well and managed to get all the work completed within the allotted time and we are grateful for that. Throughout the project he was always dependable and returned all our calls\messages in a timely manner, even odd hours. He was efficient in resolving all the small issues that kept cropping up through the project. Even after we moved into our apartment, Sheng Li promptly arranged to help out with little touch up work and other minor issues promptly. Again I am very appreciative of the excellent service rendered by Sheng Li. You are lucky to have Sheng Li working under you, an excellent and efficient worker. In fact, my husband I recommended Sheng Li to our friends who need help on renovation. My husband and I had chosen My Reno Diary for our home reno because it is within our budget, so we decided to engage Him as our ID. He is a friendly, responsible and approachable ID and will always give ideas and suggestions for our reno. He also always keep us informed at every stage of the project. Thank your for giving us a simple yet stylish home (most importantly, easy to maintain). We wish you all the best and a happy new year. I wish to commend for the magnificent job done on the renovation of my flat. I would like you to know how impressed I am with the professional manner he shown during the process of designing my flat. His board knowledge had helped a lot in the decision-making process for the renovation. 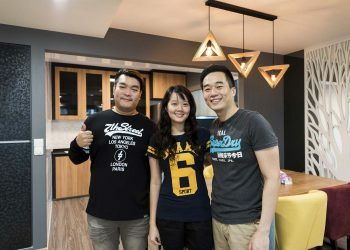 During the project period, I was having a rather busy travelling schedule, thus having him to mange the renovation work definitely help to ease the burden off me as he is reliable and is someone who took care of all the details. He made his effort to keep me inform on the work progress. The smooth completion had turned my old flat to an ideal home for my family and me. 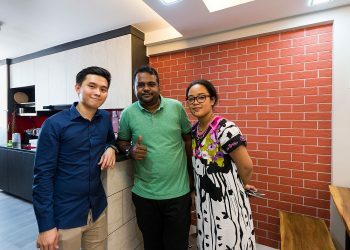 Now, many of my friends who are keen to renovate their house had all come see the workmanship of this successful final product and many compliments received thus, without hesitation, I recommended him. I am very pleased that I had an ideal home which many envied. If My Reno Diary Interior Design has a very bright future. Please convery my sincere thanks and appreciation to him for the jb well done. Keep up the good work! I would like to commend Kim for the renovation done for my home in 2016. I am ecstatic with the result of the renovation – Seeing creative design on paper coming into actual reality! Friendly, accommodating, creative and good project management. I am very pleased with the workmanship and design of the home. Now, we will be smiling all day long and feel good every each moment when we are at our house. In future, we will recommend you to our families, friends and to anyone out there that we know to use your service. Thank you once again. Thank you for your services rendered to us during the course of our renovations. Although there were some hiccups here and there, you have done well by rectifying the situation. Also u understand that we wanted to speed up the renovation process so that we can shift in as planned. Works gets done fast without compromising the quality. You have given us the assurance that any feedback after handing over will be dealt with to your best! We wish you all the best in you all the best in your work and may you strive further in your career.